Volvo Car Gent is a car manufacturer in the port district of Ghent in the west of Belgium. Around 5,000 people work at the facility producing more than 250,000 cars per year. Manufacturing activity at this plant includes welding, painting and final assembly; all processes which typically involve the use of lubricating oils and cleaning solvents. The handling and storage of these chemicals has led to the occasional spill or leakage in the past. 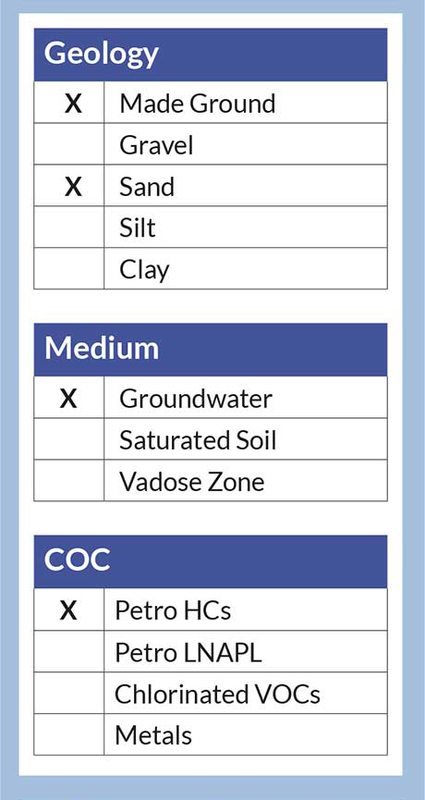 This has resulted in soils and groundwater below the plant becoming contaminated with Petroleum Hydrocarbons (including BTEX) and Chlorinated Solvents. Site investigation by Artemis Milieu has revealed 2 plumes relating to these historic spillages. The groundwater contaminant concentrations are low but persistent. Due to the direction of the groundwater flow, the contamination is at risk of migrating across the plant’s site boundary. 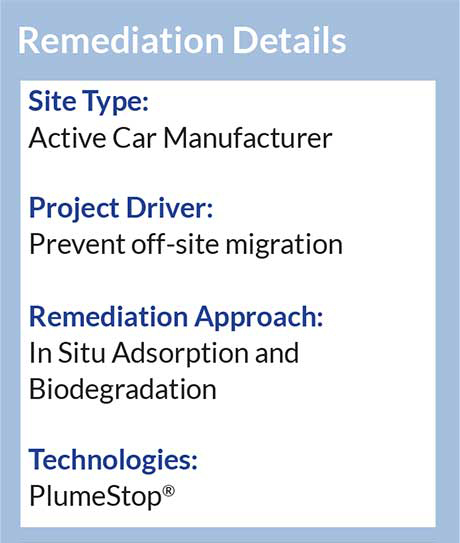 REGENESIS has been asked to provide a solution to treat the plumes and prevent off-site migration. For this site, we have designed two PlumeStop barriers. The first barrier will be installed in Area 1, located adjacent to the plant’s paint mix area. Here the plume consists of BTEX, associated with the location of a former fuel storage tank. A second barrier will be installed close to the site boundary. This barrier will treat a mixed plume of BTEX and chlorinated solvents resulting from the historic manufacturing activities. 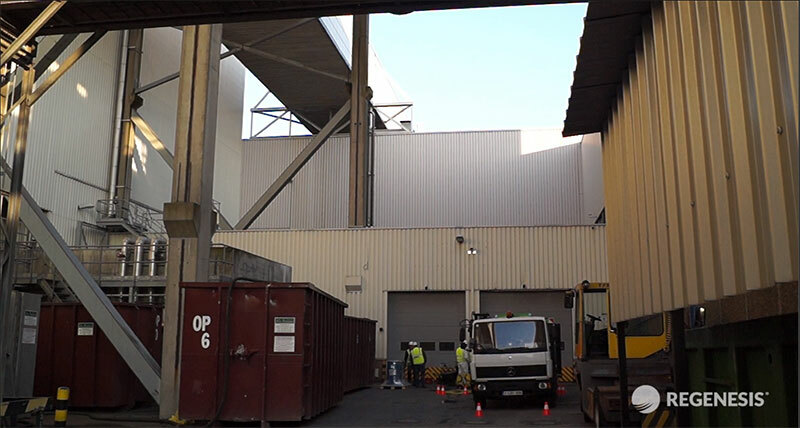 need for physical access to the entire plume underneath existing buildings – providing a significant saving in cost and disruption to the busy facility. The equipment used for injection is portable and has a small working footprint. None of the equipment is left on site overnight, which means that there is no effect on the plant’s operations. Prior to the main works going ahead, REGENESIS completed a pilot test in Area 1 to confirm field conditions. 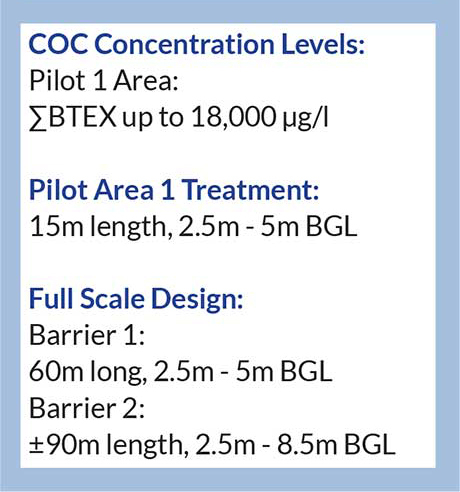 PlumeStop was injected into pre-drilled wells with monitoring completed inside and downgradient of the barrier. The results for the BTEX Concentrations are shown in the graph below over 6 months period. Total BTEX Concentrations have seen a more than 99% reduction. As a result, the full-scale barrier installation has been scheduled for 2017. 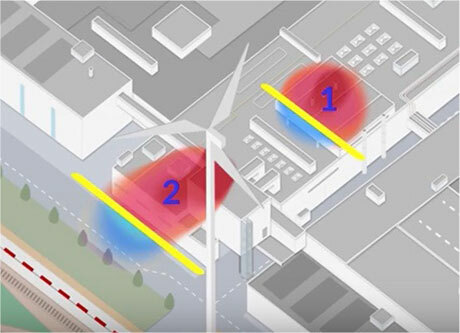 A second pilot test will be carried out in Area 2 to inform the full scale design of the second barrier. By firstly carrying out a pilot test in each area, the injection processes can be optimised and any new information used to fine-tune the remedial design if required. This makes the full-scale works more accurate and cost effective. With all of the treatment occurring in situ, Volvo Car Gent operations can continue to proceed without interruption.